Why are we creating? One really has to believe in it, and “pretty damn” hard too, as sometimes, we are confronted to incomprehension or refusal, due to the “logics” of the market… And yet, we happen to come across orchestras, musicians, conductors and organizers of exceptional courage who, by their convictions and intelligence, know how to awaken the curiosity of their audience and turn a premiere into an extraordinary event. Perhaps it is for them that we create…"
Czech composer Kryštof Mařatka (born in Prague in 1972) lives and works in Prague and Paris since 1994. The versatility which marks his artistic activities, carried out between several countries, is often considered as a strong link that he creates between the various cultural universes which he’s inspired by or which he interrogates, while discovering new ways of musical expression. Kryštof Mařatka’s catalogue of works reflects the author’s attachment to multiple sources and more or less evocative subjects, some of which return regularly, and which are very present in all of his works. These are the traditional music of the world, the birth of Man’s language, prehistoric art and musical instruments of the Palaeolithic, which can be found for example in Vábení (Attraction) - Ritual of Prehistoric Fossils of Man for choir and orchestra (2011); Otisk (Imprint) - Palaeolithic Site of Pre-instrumental Music for orchestra (2004) inspired by the sounds of stone age instruments; Zvěrohra (Game of Beasts) - collection of anthropoid chants for soprano and orchestra (2008); Stork nests for solo viola and soundtrack (2007) which integrates children’s acquisition of language, from birth to the age of 3; Druhopisy (Paraphrases) - Workshop of Folk Music Instruments from the Czech lands (2013); Chant g’hai for traditional Chinese instrument Suona and symphonic orchestra (2007-2010) or Luminarium - Mosaic of Twenty-Seven Fragments of World Music - concerto for clarinet and orchestra (2002). Other works evoke intimate universes with more personal touches such as dreams, contemplation and memories - a collection of legacies sometimes woven as allegories to a childhood lived in a totalitarian country. This is evidenced by pieces such as Praharphona - Music from the Old and the New Prague concerto for harp and orchestra (2009) and one of the composer’s major pieces The Four legged Crow - an hour-long melodramatic farce for two comedians and instrumental ensemble on tragi-comic and absurd texts by Russian writer and poet Daniil Kharms (St. Petersburg, 1905-1941) whose writings reflect the climate of the Stalinist dictatorship and of the purges in the twentieth century Soviet Union. Compositions such as Astrophonia - concerto for viola and string orchestra with piano (1998-2002), the Book of Ashes - string quartet in memoriam Z.M. (2012), Anthology of Dreams - trio for violin, cello and piano (2002) ) or The Arboretum of Time - quintet for clarinet and string quartet (2016) extend beyond the boundaries of time and space. Melodramas are a very special category in Kryštof Mařatka’s catalogue, written for a single actor-pianist or possibly two performers. These are “performances” of seven to fifteen minutes with a declaimed text accompanied by the pianist often playing directly on the strings inside the instrument, thus giving an unusual sound dimension to the theatrical atmosphere of the story. These theatre sketches often have of a very direct effect on the public thanks to the text and sometimes transgress the purely musical climate of a usual concert. These include Kuznetsov on a text by Daniil Kharms (2005), The Devil’s Cauldron - inspired by an old Corsican legend (2011), Mr Rybka’s Mystery on a text by Karel Čapek (2015), In Front of The Starving Cage inspired by Franz Kafka’ aphorisms or The Man Who Couldn’t Fall Asleep on a text by Karel Čapek. 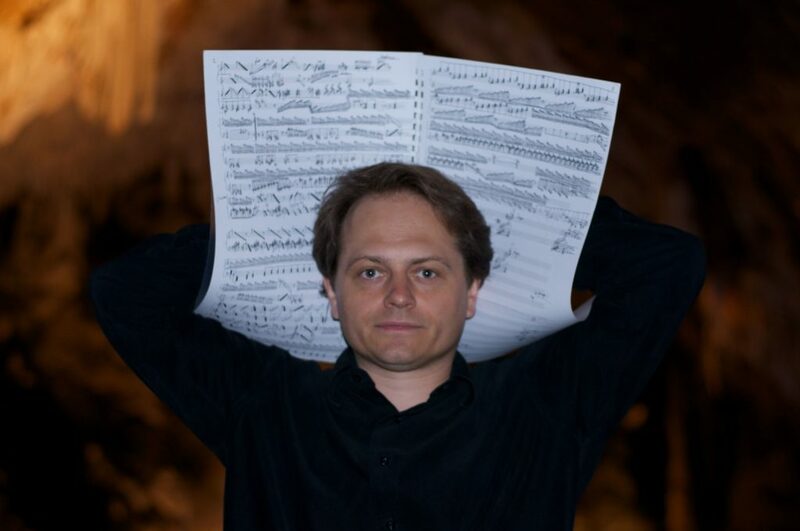 In some of Kryštof Mařatka’s works, the instrumental aspect and the know-how of the performer are at the heart of the score, seeking to combine virtuosity, technique and invention in complicity with the sound nature of the instrument. The concern for balance between these parameters - which creates the musical expression itself - is particularly striking in pieces like Voja cello - great solo for cello inspired by Gypsy music (1999), Onyrik future and exotic tales for finely de-tempered piano (2013), Melopa for harpsichord (2008) and Melodictionary - concerto for piano and instrumental septet (2014). Several regular collaborations between musical education structures and Kryštof Mařatka have led to the creation of works for young musicians. 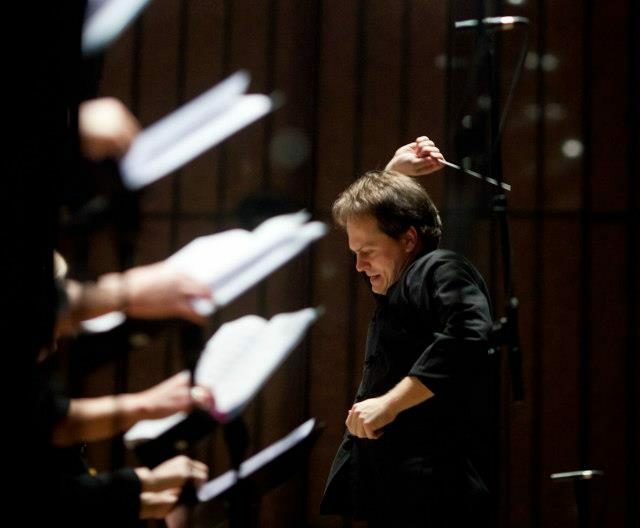 These are so-called “pedagogical” compositions created for specific courses, such as Pinecones - mini-pieces for various instrumental and vocal ensembles (2016) as well as The Invisible Forest - melodramatic fables on the introduction to music (2017) for an actor and orchestra of young and more advanced musicians, commissioned by the Philharmonie de Paris for the DEMOS Project, whose goal is to democratize access to the practice of classical music to children from neighbourhoods or rural areas insufficiently equipped with cultural institutions. Other pieces worth mentioning are: Morana - Welcoming Spring in Bohemia for youth or children’s string orchestra inspired by a popular traditional custom (2013) and the All-You-Can-Eat Ice Creams – a cycle of easy piano pieces for beginner pianists (2013 - 2016). Kryštof Mařatka has also distinguished himself several times in the composition of film music. In 2002, the Musée du Louvre in Paris commissioned a score for one of the first Czech silent films, Přemysl Pražský’s Batalion (1927, 1h30), for the Louvre Auditorium and its series “Silent Cinema in Concert” which presents, at each screening, a great silent film with original music specially composed for the occasion and played live. A Batalion DVD with Kryštof Mařatka’s music has been marketed in 2016 by the Czech National Film Archive. The composer’s meeting with the filmmaking community of authors from the Prague FAMU (Czech Film Academy) also resulted in the composition of several film soundtracks in the 1990s, for films such as Adam Kadmon (40’) and A Film on Work, Space and Time (15’) by Martin Čihák and Jan Daňhel. Kryštof Mařatka also composed the music for Jarmila Buzková’s documentary film BAŤA, the family that wanted put shoes on to the whole planet (52’), broadcast on TV5 and other European television channels. Various arrangements and transcriptions are part of Kryštof Mařatka’s catalogue as well. They form a coherent whole with the composer’s original works because they are often born from the need for a musical practice led by the author and his colleagues. This is notably the case of the Csardas (I to VIII), transcriptions of Central European folk music for various ensembles made up of a few strings, a clarinet and the piano or the cimbalom, inspired by the sketchbooks of Czech musician Milena Dolinová. Other arrangements are worth mentioning, such as Leoš Janáček’s sextet Mládí arranged for string quartet, Antonín Dvořák’s Dumky Trio arranged for viola, clarinet and piano, Antonín Dvořák’s New World Symphony arranged for piano, Alexander Scriabin’s Preludes op. 11 arranged for string orchestra and the Sonata n° 1 for violin by Eugene Ysaÿe arranged for piano. 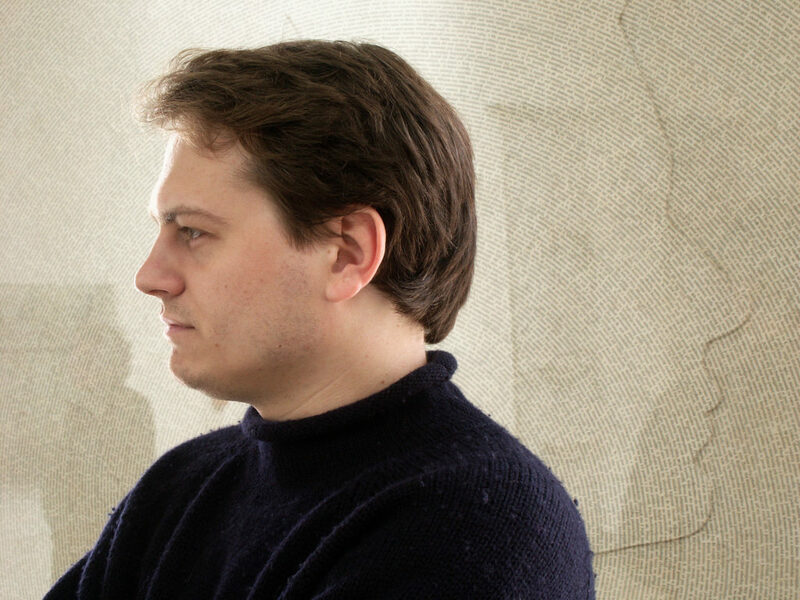 In 2006, Kryštof Mařatka won the Tansman Grand Prize and the Audience Prize for his clarinet concerto Luminarium at the International Competition of Musical Personalities in Lodz (Poland). In 2007, he won the 1st Prize of the Shanghai Spring International Festival for his work Chant G’hai (programmed at the Expo Shanghai in 2010) and the Pierre Cardin Prize awarded by the Academy of Fine Arts, France. He has received scholarships from the Eastern Music Festival (USA, North Carolina) in 1987, 1989, 1990 and 1991 as conductor, composer and pianist, from the French Institute in Prague between 1994 and 1996 as well as from the Banque Populaire Corporate Foundation between 1999 and 2001. Conducting plays an important role in Kryštof Mařatka’s career as a composer. He is often led to perform as conductor with symphonic and various other ensembles in programs often built around his own work, but also offering repertoire pieces (Haydn, Mozart, Dvořák, Smetana, Debussy, Martinů...) and compositions by his contemporaries (Pécou, Raskatov, Takemitsu...). Kryštof Mařatka has directed ensembles such as the Toronto Symphony Orchestra, the Nederlands Kamerorkest at the Amsterdam Concertgebouw, the Prague Philharmonia Orchestra, the Sinfonia Varsovia Orchestra, the Polish National Radio Orchestra, the Jyvaskyla - Finland Orchestra, the Philharmonia Pomorska Poland, the Ensemble Calliopée, the National Orchestra of Lille, the Talich Chamber Orchestra, the BERG Orchestra, the Soloists of the Prades Festival, the Polish Chamber Choir Gdansk, the Wroclaw Philharmonic Choir, the Nordwestdeutche Philharmonic Herford or the Prague National Opera Orchestra. 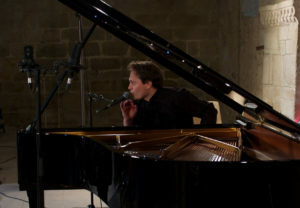 Kryštof Mařatka also performs as a pianist. The physical relationship to a musical instrument and the confrontation to the art of interpretation conditioned by the mastery of the playing is one of the keys to his composer’s thought. Coming from the piano class of the Prague Conservatoire (1986-1992), he stems from the Czech piano school tradition and continues to play solo or shares the stage with other chamber music performers. Apart from the works of the repertoire and his own compositions, he often puts forward his passion for the work of Leoš Janáček, whose Diary of One Who Disappeared he recorded in the studio for the Czech Radio in 2015. Kryštof Mařatka often places improvisations at the heart of his programs as pianist, trying thus to raise awareness of the beauty of musical creation through the experience of the birth of a work witnessed by the audience in real time. In an effort to expand the sound spectre of the instrument, Kryštof Mařatka explores different piano playing techniques, most notably using his hands directly on the piano strings, in improvised works or in improvised accompaniments to readings of texts and other opportunities. 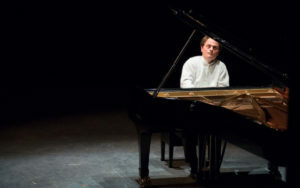 On the same theme, the composer-pianist has already led several educational workshops entitled “Journey inside the piano” intended for pianists and musicians curious to discover other techniques of piano playing than those produced on the keyboard. 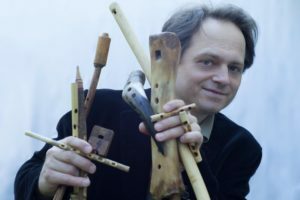 Traditional musical instruments constitute one of the worlds that have profoundly influenced Kryštof Mařatka’s musical thought, and he himself owns a collection of these instruments, from Bohemia and Moravia. Mostly made of wood, these instruments are manufactured and come from workshops of makers from working-class backgrounds whose characteristic is to transmit their values ​​and their astonishing know-how from generation to generation, and practically in anonymity. Kryštof Mařatka plays these instruments during meetings with the public, student workshops, conferences and radio broadcasts. They are instruments such as kamzičí roh, nosová flétna, koncovka, bezovák, hadrářská píšťalka, pastýřská trouba, kostěná flétna... In playing improvisations and folk tunes on these instruments, Kryštof Mařatka connects classical music with popular music and demonstrates the influences, differences and links between these two universes, the elaborate musical expressions of which are and will remain infinite. Two works from the composer’s catalogue are to be mentioned. One directly uses the instruments mentioned here above: Báchorky - pastoral fables for viola, clarinet, piano and Czech musical folk instruments (2016). The atmosphere of the whole piece stems from the combination of the "sophisticated" sounds of the piano, viola and clarinet with the rustic and "archaic" sounds of popular instruments. The second composition, written for orchestra, does not directly use the instruments in question but only evokes their sonorities and colours using the common instruments of the orchestra: Druhopisy (Paraphrases) - workshop of musical folk instruments from the Czech countries for orchestra (2013). As an occasional actor, Kryštof Mařatka performs in his own melodramas, conceived for an actor (and a) pianist. If these works can be played by two performers, the fact that the composer or another artist goes on stage alone and embodies the two roles simultaneously - that of the actor and the pianist - adds to the work an unexpected dimension, close to a "performance" rooted in musical theatre. Kryštof Mařatka performs his melodramas in French, Czech, English and German. 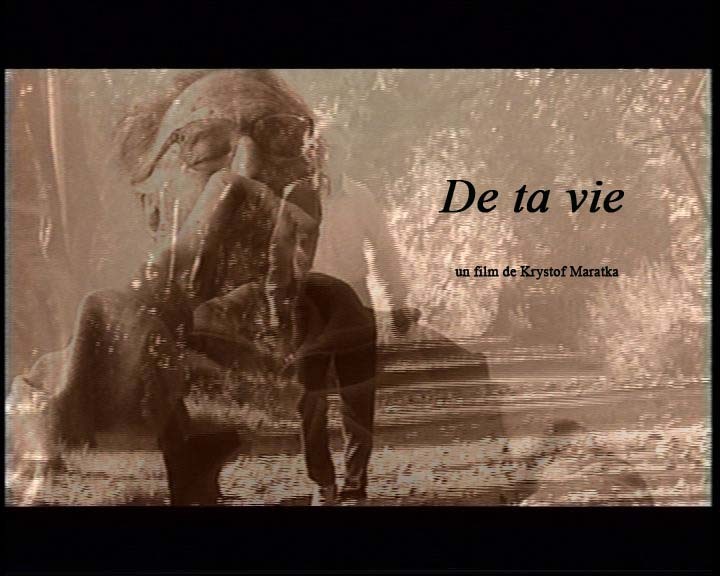 Kryštof Mařatka is the author of the film From Your Life (74' min, in Czech with French or English subtitles), which he shot between 2000 and 2012. A book/DVD (French, English and Czech) has been published in 2016 about the creation of the film (Tomáš Doruška Productions - Prague). The Mařatkas are an illustrious family in Bohemia: from Josef Mařatka, great sculptor, pupil of Rodin, to Kryštof Mařatka, contemporary composer. Between the two, a fascinating character, son of the first, father of the second: Zdeněk Mařatka. An eminent physician born in 1914, this man has known eight different political regimes: the Austro-Hungarian Empire, the First Czechoslovak Republic, Czechoslovakia amputated of the Sudeten regions, the Nazi Protectorate of Bohemia-Moravia, and the Third Republic of 1945-1948, the different periods of the communist regime, the post-Velvet Revolution Czechoslovakia and finally the Czech Republic of today. 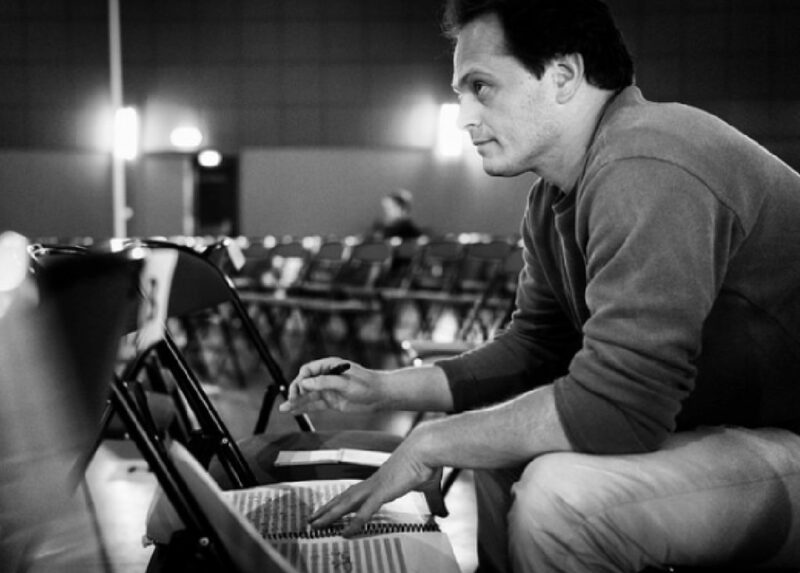 He was awarded the 1997 Vision Award and the 2009 Dagmar and Václav Havel Foundation Award. For his 95th birthday, his son decided to shoot a film that would be dedicated to him. Touching, funny, melancholy... Against the background of philosophical reflection and discussions between several generations of a family, it is the whole of the 20th century that we see emerge here.